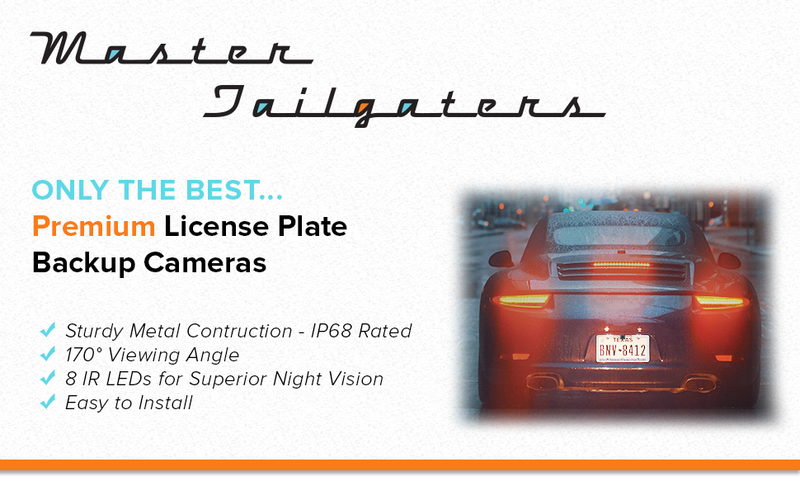 Small and compact, this license plate frame camera is the perfect way to upgrade your vehicle easily! With a 1099 Chip, a 170° wide angle lens, and a high resolution, you won't have to worry about blind spots when you drive. This camera has 1000 TV Lines, which gives you a much more crisp and clear view of your surroundings - especially when compared to lower quality cameras with only 480 TV Lines. It also has 8 INFRARED LED lights around the lens to improve night vision. You will see a high quality display when driving in the dark just as easily as you will in the daytime. This camera easily fits behind your license plate and screws in with your existing screws. It can be used at the front or back of your car. - Works perfectly with our line of premium rear view mirrors with LCD screens.